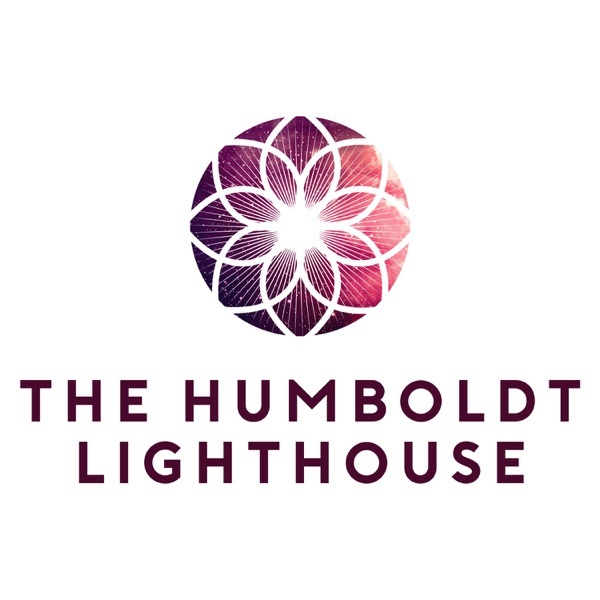 Discover The Humboldt Lighthouse Episode 34: David Sandercott - Consciousness Calibration, Enlightenment, Yoga, & Meditation. David Sandercott is a meditation teacher, spiritual life coach, and author of 21 Day Meditation Journey: Connect With Spirit Everyday In A New Way. In this conversation we discuss the stages of enlightenment and the great teachers, ego and intuition, Dr. David Hawkins and muscle testing, meditation and spiritual practice, perceiving the field and holding to the oneness, the enlightenment and teaching of Jesus and Buddha, the life stories of Nisargadatta Maharaj and Gopi Krishna, channeling and shamanism, the tapas and life of Shivabalayogi, the role of a yogi, Self-realization and God-realization, getting woke, samadhi and the upper limbs of Patanjali’s Yoga Sutras, and the conversation ends with a guided meditation. You can find out more about David at www.davidsandercott.com. His new book, 21 Day Meditation Journey: Connect With Spirit Everyday In A New Way, can be found on Amazon. This episode is sponsored by the karma yogis at www.thekozm.com. Use the coupon code HUMBOLDT to get 20% off your purchase order. The Kozm, manufacturing yoga clothing and the conscious capitalism movement. Show Notes: You can book an appointment with David here and visit his website here and purchase his book here. The introductory music from The Dubbadubs featuring Kyla Rose can be found here. You can support Isaac Bluefoot’s Omen Quest Kickstarter campaign here. You can find out more about astronauts experiencing samadhi in space here. Book Mentions: Wayne Dyer’s, There’s a Spiritual Solution to Every Problem, The Lamsa Bible, Dr. David Hawkins’, Power vs. Force, and David Sandercott’s, 21 Day Meditation Journey: Connect With Spirit Everyday In A New Way. Curt PallasDowney @sedona_earth_wisdom integrates mindfulness techniques with Medicine Wheel teachings. In this conversation we discuss the writings of Carlos Castaneda and the Way of Knowledge, shamanic work and managing energy, the differences between Jesus and Buddha, the shamanic initiatory crisis, reasons for meditation, perceiving life through Ego versus Soul, your light body, a spiritual interpretation of PTSD, and much more. Curt lives in Sedona, Arizona and can be found at www.sedonaearthwisdom.com or contacted at cpd517@centurylink.net or (928) 202-0127.This episode is sponsored by the karma yogis @thekozm. Use the coupon code HL10 to get 10% off your purchase order at www.thekozm.com. The Kozm is manufacturing yoga clothing and the conscious capitalism movement.This episode is also sponsored by Webeekind CBD herbal apothecary, @webeekind. Use the coupon code LIGHTHOUSE at www.webeekind.com to get 10% off your purchase order.“You meditate not so that you find enlightenment while you meditate; You meditate so that you can respond to your triggers with an enlightened point of view.”— Curt PallasDowneyShow Notes: Essay using the metaphor of a turbulent transformation as the same an engineer confronts “in reconstructing a railway station without interrupting the traffic.”: Self-Realization and Psychological Disturbances by Robert AssagioliBook Mentions: Carlos Castaneda’s The Teachings of Don Juan: A Yaqui Way of Knowledge, King Solomon’s The Wisdom of Solomon, and Ted Andrews’ Animal Speak: The Spiritual & Magical Powers of Creatures Great and Small. Jodie DiMinno is a doula serving the Humboldt County community. In this conversation we discuss Jodie’s personal journey, the transformative potential of yoga, the range of birthing options and the role of a doula in the birthing process, how to get the most out of your doula, birthing expectations versus reality, how to process the birthing process postpartum, living a life of service, and of all the ways Jodie is serving the Humboldt County community. Enjoy!This episode is sponsored by Kozm clothing, men's yoga gear that won't wreck the planet. Available at www.thekozm.com.We Bee Kind CBD Wellness Products can be viewed and purchased here.“Sometimes you just need to step back, soften, and allow.”— Jodie DiMinnoShow Notes: Intro Music: The DubbaDubs featuring Kyla RoseBook Mentions: Ina May Gaskin's, Ina May's Guide to Natural Birthing, Pam England's, Birthing From Within: And Extra-Ordinary Guide to Childbirth Preparation, and Penny Simkin's, The Birth Partner.